I first noticed BVRS when they were painting heavily in the East Bay a couple years ago. They were writing out “DAMN BEAVERS!” in a clean hand style with a fat cap and it made me crack up and reminded me of cartoons from my childhood. Then I saw BVRS character and it forever burned into my mind. Soon after I started noticing that Beaver face on rooftops in San Francisco. 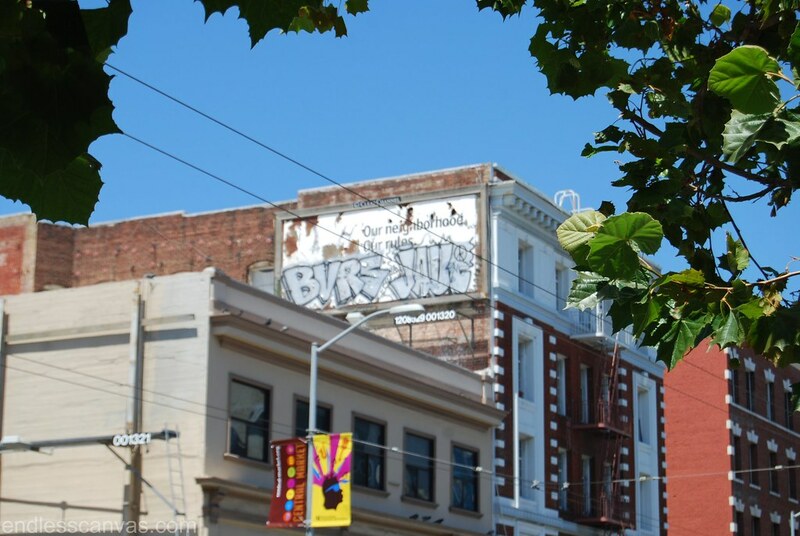 This past year BVRS teamed up with JAUT CARES (who paints the bicycle character) and they have been relentlessly bombing San Francisco ever since. 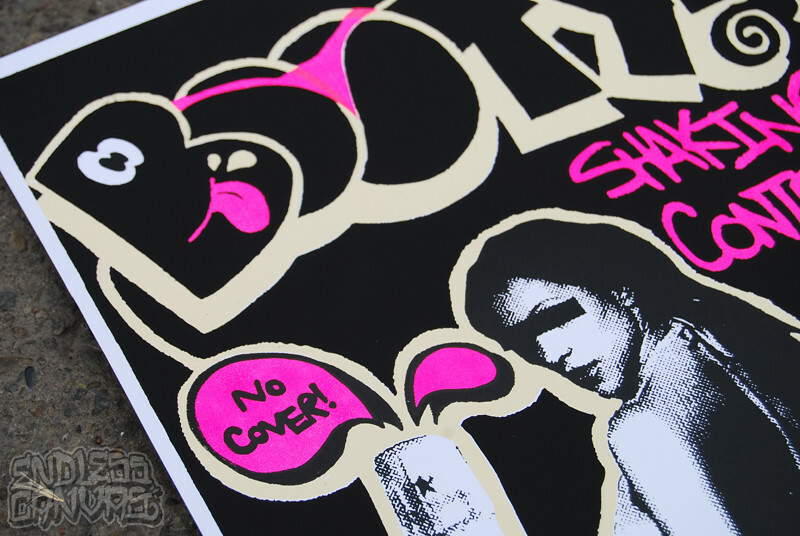 Make sure to grab one of these timely limited edition prints before they go up in value even more. It’s hard to see in these photos but there are actually two blacks. A subtle matt black background with a glossy black foreground.